Ex-NUFC star plans SJP return next season to say ‘official goodbye’ – “I left via the back door” – NUFC blog – Newcastle United blog – NUFC Fixtures, News and Forum. 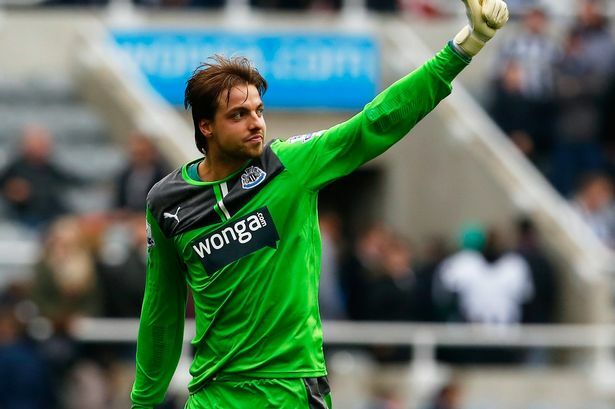 Tim Krul admits he’s still “very sad” about the way he “left via the back door” at Newcastle – but plans to return and say an ‘official goodbye’ if Norwich gain promotion and play at St James’ Park next season. The Dutchman joined the club as a 17-year old, making just shy of 200 appearances – experiencing relegation and Europa League quarter finals – and even developed a Geordie accent along the way! That said, he wasn’t in Rafa’s plans and left pretty suddenly, recently saying that Rafa showed him a lack of respect given he’d served the club well for 11 years. “I found the real hunger that I now have again the last couple of years. “I am fresher and better than ever. I am grateful that I played 33 games this season. I don’t doubt Rafa’s decision and can’t imagine there’s many Newcastle fans out there that would swap Dubravka for Krul, but I did feel for him a little the way Benitez appeared to freeze him out completely. “Mentally it was heavy. I went through a very dark period. “Norwich City arrived at exactly the right time last summer. It’s great to see Krul back playing, with him really getting his career back on track after swapping the subs bench at Brighton for a starting role at Norwich. He’s always seemed like a good pro and a nice bloke – and we can’t forget what a good goalkeeper he can be at his best. Let’s hope he can be back at St James’ Park next season (in the Premier League!) and receive a warm applause if he returns with Norwich.